Thank you for choosing B.St.Design. Due to a very high volume of work load, and a vision of a very...VERY big future, we have decided to unmrella B.St.Design under a great new, known, bold name and image, "ProductGOGO™: Making Products GO!". B.St.Design will still be a very large part of ProductGoGo™ and won't go away, just be a smaller part of a big thing!!! New Videos Page See What We are Doing! We have been taking Video of our current projects and the facilities that produce them, check out some awesome machines, processes, and designs come to life here. See things go from sketch paper, to computer draftings, to production samples. Atoms Express Toys that Do Things! 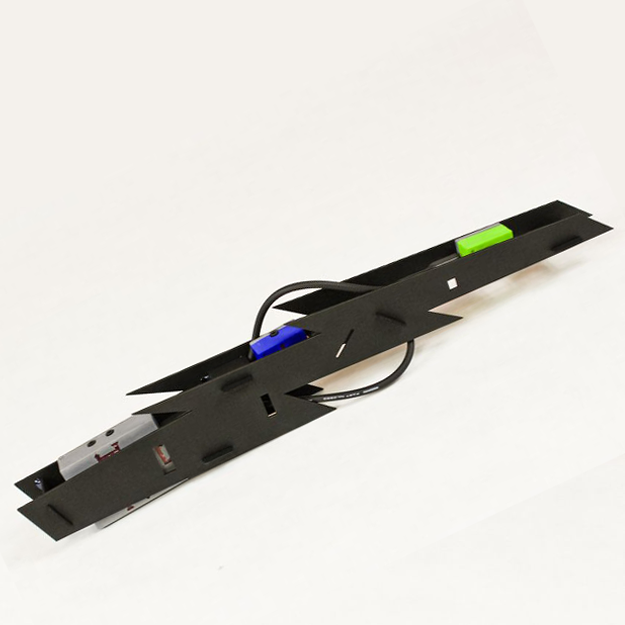 Example of Atoms Wand Kit Above. See more at Atoms Express!!! B.St.Design had the pleasure of working with the Atoms Team in wonderful Boulder, Colorado. We have quickly adapted to the Atoms fast paced business model, and helped them develop a great toy for young and old alike. B.St.Design worked with the industrial design, form, and function of each model. Great product, great people! 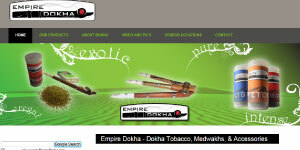 Take a look at their product, and our work. This project is a great example of a "Team Effort". BarkEm's Portable Pet Meals - Click Here...more info coming soon! This is the product that owner Blake St.Clair appeared on ABC SharkTank with. We went through a year of product development post Shark Tank, and have now developed our first start to finish internal personal project! B.St.Design absolutely exploded post taking this product through our own model, and now our very own B.St.Business Model Package to offer to you! Above are two examples of our current clients. Both companies started with a simple logo. They are growing and so is their marketing. They have recently added to their marketing package, follow them to see what's up and what's next! 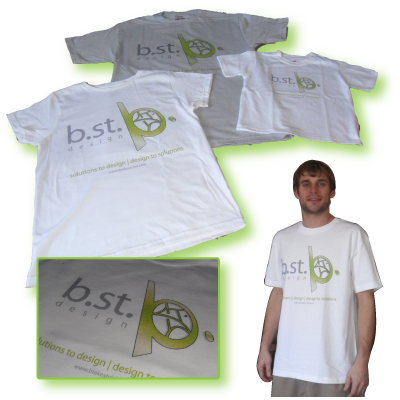 B.St.Design is here to help you make your business stand out and have a modern edge that sells itself. You don't have to spend thousands of dollars on huge marketing scenes. Focus on one step at a time, and evolve your business appearance over time. First get a flashy new Logo to get attention. Then, easily add a set of business cards. When you think its time, and people start seeing and asking about your new look, then add as many components as needed. 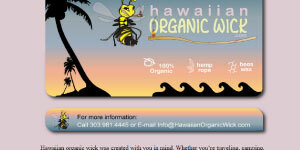 A Home Page, Landing Page, or Web Page is KEY to a successful business today. Artistic Design, Photo editing, and more!! **Recent - Digitally Printed Company Tees** : No Minimum order amount, sizes from 1T through 3XL, tons of color options and shirt styles; long sleeve, tees, women's, scrubs, and more!!! Great Deals through B.St.Design!! We have a Show Room of our past, current, and personal company projects, a Design Facility with full work stations, programs, and meeting area, and a Prototyping Facility with all the space and tools needed for small or large projects. We are happily located outside, but very close to the Denver Metro. The B.St.Design Center is located at 1177 S. Huron St. Denver, Colorado 80223. In the front range, Denver Metro, and local area: B.St.Design is your start up business, prototyping, KickStarter go to for products, concepts, toys, ventures, advice, and a lot of contacts to get you to the next level! Stop by anytime, Directions to Design Center. There is no need to meet...that is, face to face! Our goal at B.St.Design is to be able to offer a solution for small businesses to excel without the huge expense and timely meetings. If needed, we'll meet - however, we have developed a complex set of Client Bio/Info Forms, elaborate e-mail follow ups, and scheduled phone conversations that allow us to exceed all of your expectations using technology, instead of gas and mileage! 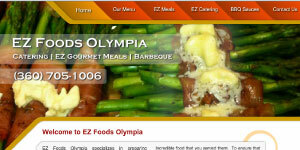 Branding, Graphics, WebYou name it, we will do it. We have worked with many diverse companies and would love to add more. We offer packages to start from scratch or would love to jump in and take what you have and move forward from there. We would love to consult in making your company the one that gets the call! Prototype, Sketch, CAD, CNC From Start to Shelf! We offer the ability to take an idea and follow it through the entire design process to a final, shelf ready product - and every phase in between. We have worked with several companies on very small projects, as simple as a set of CAD drawings or a CNC programing. Then, we've worked on projects as elaborate as models which were eventually approved and prototyped with a 3-D stereo lithography machine. Once the parts are fit and approved, they are sent to facilities for mass-production. Come to us with your product half way there, almost there, or even on a scratch pad or edited clipping. We are good at taking a thought and making it a reality. Also, we have found we have a great percentage of success in getting into the mind of a business and becoming a one stop shop for many services and needs as a trustworthy friend. Artistic, Art, Dream We are all artist at heart, and have always and will always view ourselves as "Artists". We simply found an industrial application of taking "art" and implementing it into "commerce". If you have any artistic projects or personal dream projects, we'd love to help make them a reality. We also have our own works of art, sculpture, paintings, and other works that we promote and display thorough B St Design. **Recent - Embroidered Company Tees** : No Minimum order amount! 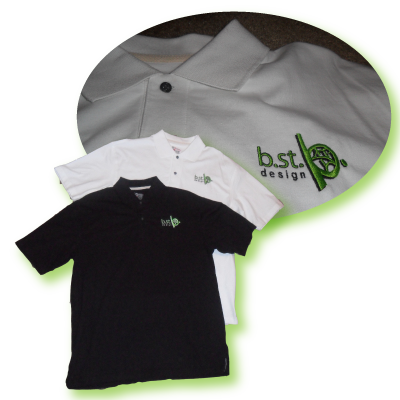 Start with a sample polo shirt for $2.95 with referral from B.St.Design!! Once the file is set, you can put it on hats, shirts, coats, gloves, key chains, and more! !